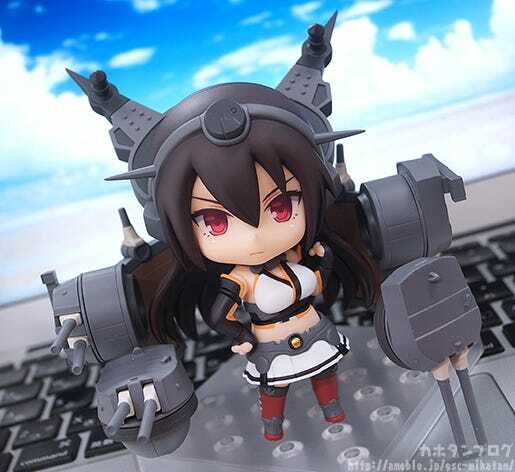 From the popular browser game ‘Kantai Collection KanColle-‘ comes a Nendoroid of the first Nagato-class battleship – Nagato! 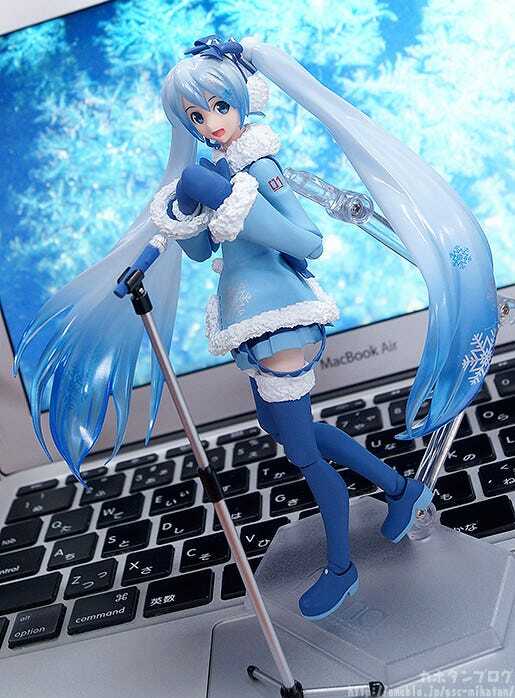 She comes with three face plates including a confident standard expression, a shouting expression for combat as well as a gentle smiling expression. 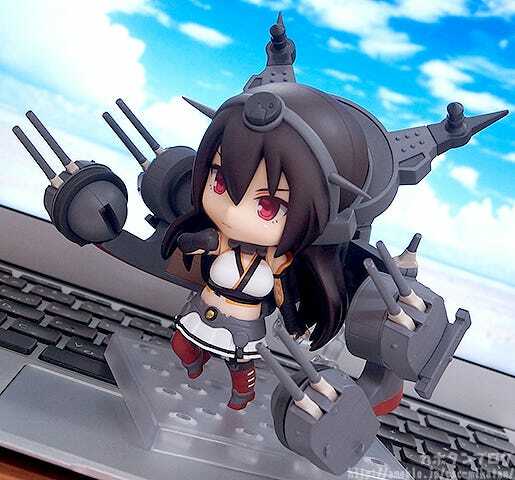 Her four turrets are all separately articulated for all sorts of posing options, and each come with their own effect parts to display her lighting up the ocean in battle! 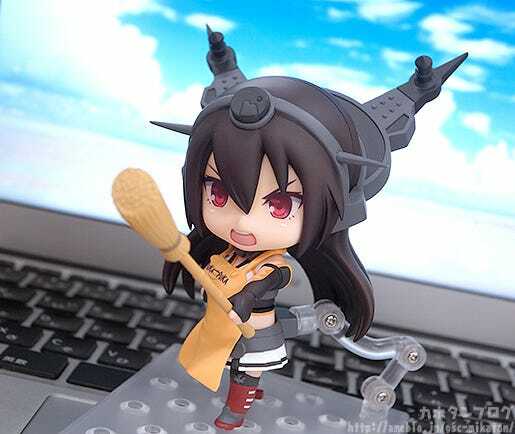 The Nendoroid also comes with a bamboo broom and apron which fans may recognize, as well as a glass of orange juice which all allow you to display her in some less militaristic poses! 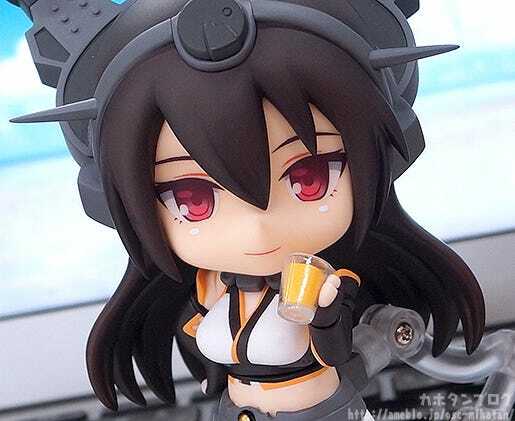 Be sure to add the super-dreadnought and pride of the Japanese navy to your collection and enjoy all sorts of different situations in Nendoroid size! ▲ You can hardly see her back due to sheer size of the ship parts! 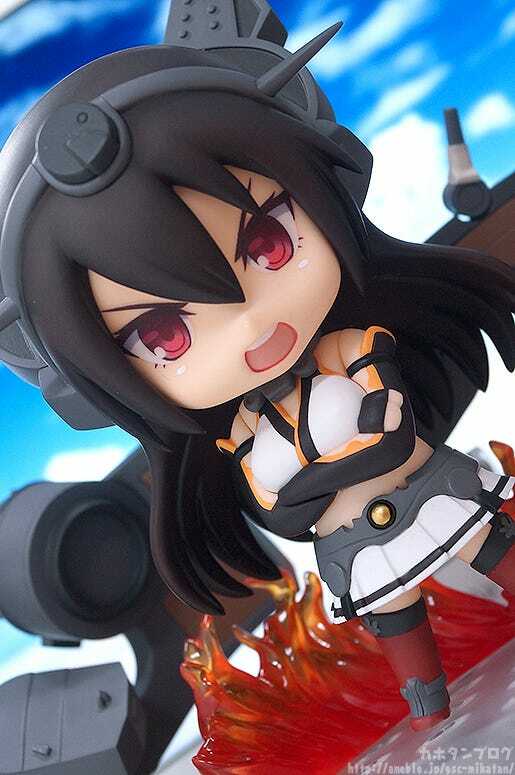 Along with her rather serious standard expression, she also comes with a shouting face plate to pose her chasing down the enemy fleet in battle! 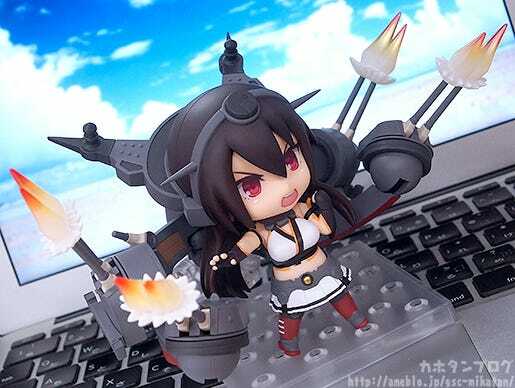 She also of course comes with firing effect parts for ALL of her turrets, which really shows off her impressive firepower! But that’s not all…! 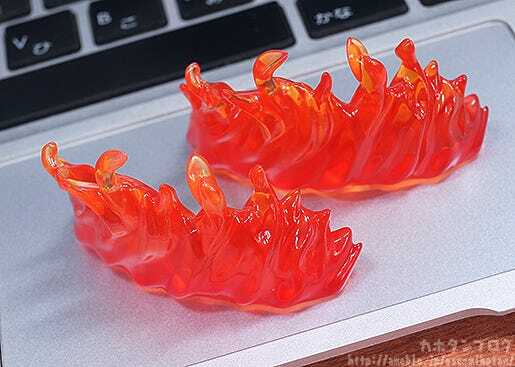 ▲ The sculpt makes them look like very wild flames! 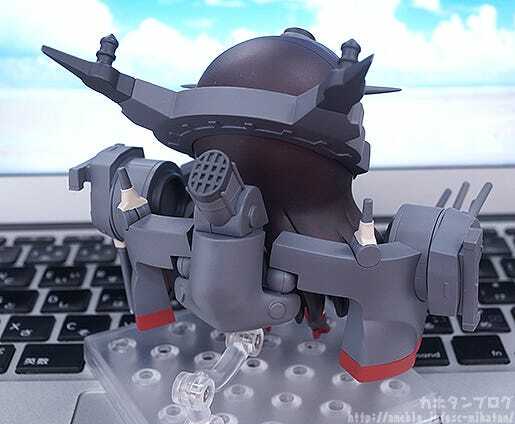 You may have noticed from the last photo that the turrets themselves are also highly articulated! Just take a look at this animation to get a better idea! 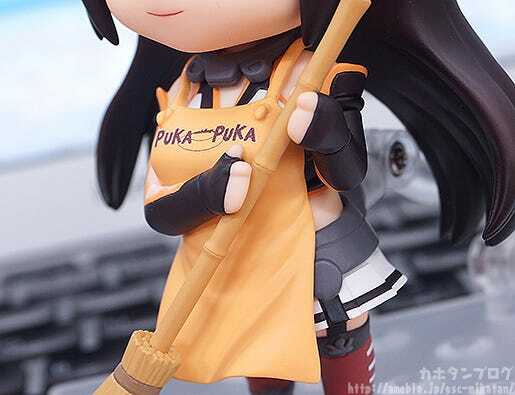 ▲ The creases in the apron are so nicely sculpted! ▲ You can also have her hold the broom this way up! A glass of orange juice from the navy base counter bar! 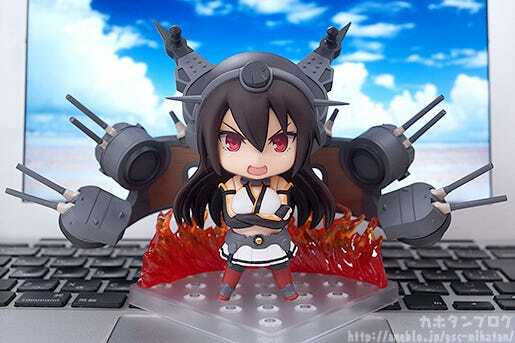 A Nendoroid of one of the Big Seven! 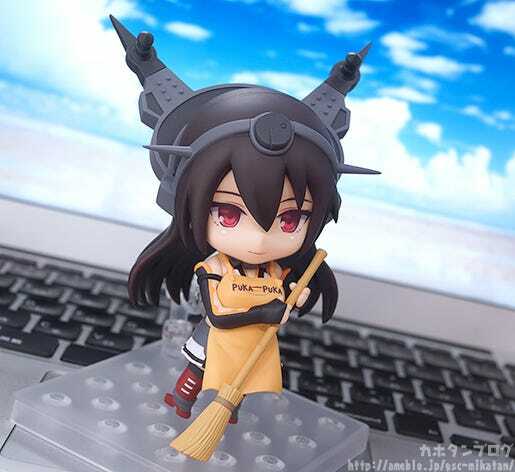 Plus as usual, purchases from the GOODSMILE ONLINE SHOP will include a ‘Nendoroid Nagato’ Special Box Sleeve & Special Nendoroid Base as a bonus! 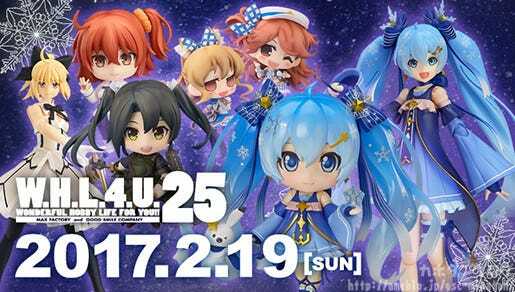 *The base will be a standard 8cm x 8cm base.